1) Those who don't learn from history are doomed to repeat it: Enterprise content management projects often fail due to poor search. What is failure for an ECM project? Essentially, it comes down to user satisfaction. I hear again and again that search of enterprise documents, either in SharePoint, shared folders, or another system, does not work, users are frustrated, and they can't effectively use the system that was set up. Documents end up anywhere and everywhere and nobody can find anything. A big reason for this is that most documents don't have appropriate metadata. When I say appropriate metadata, I don't mean things like date and author and document type. These elements are automatically added to all documents and I call them "flag metadata". The metadata that is missing is what I call "subject metadata". Subject metadata should give somebody a hint about what the document is actually about. For a business, this could be a customer name, an internal process, or a department, just to name a few. Taxonomy and managed metadata can go a long way towards fixing these issues. Appropriately tagged documents add a lot of value to what a search engine (including SharePoint Enterprise Search, FAST, and others) can accomplish. Imagine how much more effective and intuitive keyword search can be if you are providing your users with relevant left hand navigation filters which can take them from thousands of results down to the handful of documents that match their parameters. Taxonomy is a common set of terms that users can select fromas subject metadata. It simply makes a big difference. Your users will notice. 2) A common language, which a taxonomy provides, connects your users with relevant information and with each other. If you buy into the first item above about the need for good subject metadata, the next question may be why users can't just tag documents with any keywords they want, in effect using a folksonomy approach, instead of implementing a top down vocabulary. This would be a simpler approach and would avoid the process of creating a taxonomy and the governance that is attached to that process. But, don't forget, simple is what got many intranets and ECM systems into a mess to begin with. Free text keyword tagging is a nice supplement to a taxonomy, but by itself can cause a lot of problems. End users tagging will results in a lot of variations of the same term - abbreviations, misspellings, and other variants. One user may tag documents with "H.R. ", while another user may use "Human Resources", while a third may use "Human Capital". The problem is that a user searching would never be able to find all of the documents tagged to each variant. Managed MetaData and Taxonomies allow you to create a preferred name for the concept and associate the rest as synonyms, solving this problem. If you rely on free text keyword entry, end users won't have any guidance as to what they should tag a document with. If you had three different end users tag the same document, you would get three different set of tags. 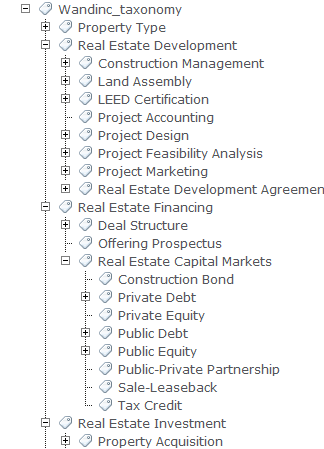 With managed metadata, you can assign different term sets/taxonomies as potential valid values to any of your columns. That way, you can assure that the metadata columns you set up get populated with the correct values. Spending the time to set up taxonomies ensures that your entire organization will be tagging documents to the same controlled set of terms. Users searching for these terms will find the complete set of documents which have been tagged to the concept. A common, controlled vocabulary will also enhance the SharePoint My Sites news feed experience. Users can easily subscribe to terms from the taxonomy and when new documents are tagged to those terms, they will show up in the users news feed. Users can also profile themselves so that other users can find people who share their interests. If you don't have a taxonomy, users won't be speaking the same language and won't be able to effectively communicate. Keywords don't have to be abandoned entirely. In SharePoint 2010, user entered keywords show up in the term store as "managed keywords". This is a terrific source of terms for your taxonomy manager to review on a regular basis. These managed keywords may contain valuable synonyms or even new terms which should be added to your controlled taxonomy. I already have covered this topic a little bit in this post but synonyms are so important that it is worth mentioning again. Synonyms are a huge part of the value of taxonomies in enterprise content management and adding synonyms to your taxonomy will have tangible benefits for search and tagging. "Human Capital Management" - 3 results. Now, with a taxonomy in place, each of these variations can be associated as synonyms. A single search for Human Resources would bring back all 48 documents that required four searches to find before. And, let's be frank, users will never do all four searches so they will always be missing a piece of the puzzle. Don't underestimate the value of synonyms in your taxonomy. 4) Using folders to organize documents is not scalable and does not work. One of the most common goals that I hear from people working on a SharePoint 2010 project is that they would like to move away from using folders for document organizations, either in SharePoint 2010 itself or in a shared drive. I have seen some seriously awful shared drives and that really is more the rule than an exception. The problem with nested folders is that they quickly become confusing and unwieldy to navigate. Silos and fiefdoms get created where it becomes difficult for one user to understand how another user has set up the organizing structure. The other major problem with folders is that a document can only be placed in a single location. This is problematic because a document may be relevant to two different folders. For example a document which is an RFP for client A should be placed in a folder for Client A and a folder for RFPs. But, it cannot exist in both places, realistically. Managed metadata solves this problem because what used to be folder names simply become tags that can be applied to document. The Client A RFP can now be tagged with both "Client A" and with "RFPs" and any other user can find the document using those tags, regardless of where that document actually is saved. Managed metadata is just a simpler, but more elegant, approach to document organization and it's much easier for the end user. 5) Taxonomies make automatic metadata tagging methods more effective and accurate than ever before. Automatic tagging of metadata is an important feature because one nearly universal fact about end users/content creators/knowledge workers is that they do not like to tag documents with metadata, probably won't tag documents at all, and if required, don't tag documents correctly or consistently. We hear this complaint again and again. Search engines and content management systems have tried to resolve this problem using automatic methods such as statistical keyword relevance and dynamic clustering. These approaches are okay, but what the computer finds statistically relevant is not always what a human being may think is important. With a taxonomy, the computer has some guidance as to what terms and concepts are important to the business and to help the end user search documents more effectively. Synonyms within the taxonomy can also be used to create some initial automatic tagging rules that can be instantly applied to documents. Those rules can be refined over time to incrementally improve the performance of the automatic tagging engine. Automatically tagging documents in SharePoint can ensure that a taxonomy and managed metadata project in SharePoint 2010 is a success. An automatic tagging approach ensures that all legacy documents are tagged to the taxonomy metadata model that you create. Without this, manually tagging documents may need to occur for 8-9 months before a critical mass of tags is reached to add real value to search. Also, automatic tagging applies tags in a consistent fashion across your document and removes the burden of tagging from your end users. With the availability of automatic tagging add-ons a major excuse/barrier to deploying a taxonomy is eliminated. The value that an automatic tagging approach can add is tremendous and the payback period is quick. Creating a taxonomy is not an easy task. Many organizations have started taxonomy projects that ended in failure. Putting committees together to create a corporate vocabulary resulted in in-fighting and inflamed internal politics, but did not result in a usable taxonomy. Most companies don't have a library scientist or taxonomist on staff to guide the process. Things have changed. WAND has more pre-built taxonomies available for SharePoint 2010 than ever before and our library is expanding on a regular basis. 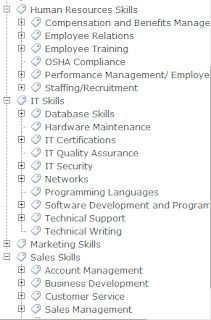 Taxonomies for industries like Mining, Oil and Gas, Real Estate, Public Utilities, Legal, Manufacturing, Insurance, and Finance and for topics like Information Technology, Records Retention, Skills, Project Management, and more are now available. Starting with a pre-built foundation taxonomy is a huge advantage over starting from scratch. It speeds up the project dramatically and it gives your business users, whose input is crucial, something tangible to look at and respond to. This totally changes the conversation that you have and makes the time with business end users much more valuable. WAND also has professional services available to help you customize a taxonomy or create a new one from scratch. 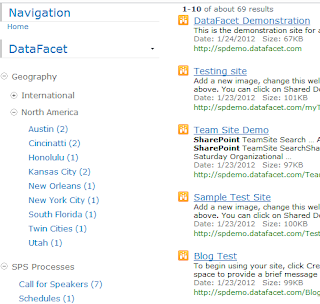 Our consultants have specific expertise in taxonomies for SharePoint 2010. To conclude, for the six reasons listed above, taxonomy is something that you can't afford to ignore if you are working on a SharePoint 2010 project. Take advantage of the managed metadata feature and give your users the tools they need to take control of the information inside your organization. 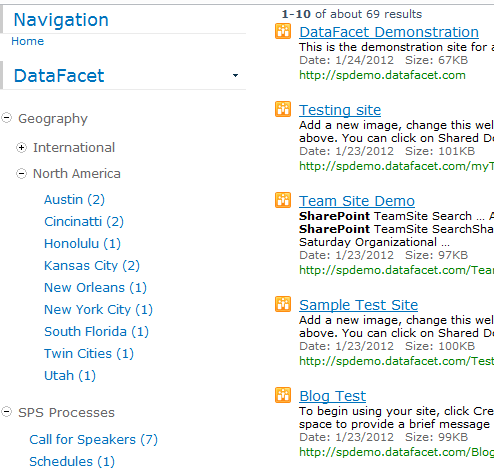 WAND can help your organization establish and execute a taxonomy and tagging strategy for SharePoint 2010. Contact us today to discuss your specific project and find out more about how WAND can help. WAND has been doing a lot of work in SharePoint 2010 since it launched providing taxonomies for the managed metadata service to help companies tag library items more effectively. 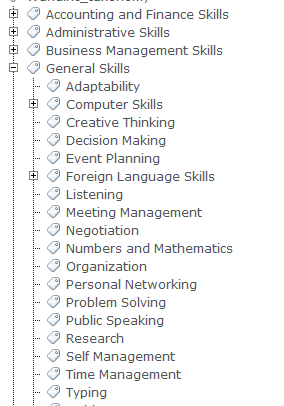 However, we noticed that managed metadata can also be used to help tag My Sites profiles so we created a skills taxonomy just for that purpose. The WAND Skills taxonomy has over 1400 different business and personal skills that can be used as a foundation for creating robust skills profiles for any business. Helping your employees fill out a skills profile with a common set of skills across the organization can be extremely valuable for team building, sharing expertise, and finding the right combination of skills for projects. 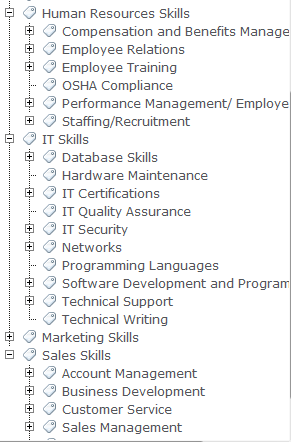 If you are using My Sites without a skills taxonomy, you risk ending up with a mess. One employee may tag himself as "Spanish Speaker" while another tags herself with "I know Spanish" and another may say "Hablo Espanol". This lack of normalization severely limits the usefullness of these profiles. Here you can see how we have integrated the skills taxonomy into the SharePoint My Sites profile. 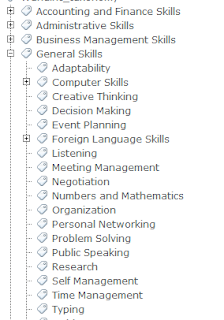 When an employee begins to type in his or her skills, suggestions from the skills taxonomy will appear, allowing the employee to select from the common vocabulary that has been established. Happy new year! I'm very excited about 2012 and think it is going to be a great year for taxonomies. 2011 saw a ton of growth in interest and awareness of taxonomies, much of this driven by adoption of SharePoint 2010 and the term store feature, but certainly other applications as well. I'll post more about this separately, but for now, I want to focus on the first new taxonomy launch of the year from WAND: Real Estate Taxonomy. With 733 terms and 169 synonyms, the WAND Real Estate Taxonomy covers the three main pillars of a real estate company: real estate development, real estate investment, and real estate management, as well as financing and analysis. 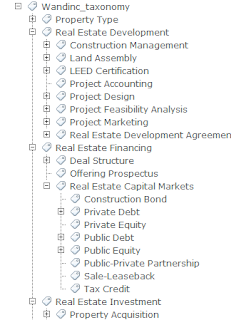 This real estate taxonomy was designed specifically for a real estate centric organization who is undertaking a document management or search initiative. It covers the important concepts and document types that a real estate organization may want to use to tag and search for documents. As always, every taxonomy is going to need some customization for your specific organizational needs, but the WAND Real Estate Taxonomy will jump start any taxonomy initiative. The WAND Real Estate Taxonomy is available standalone and as part of the WAND Taxonomy Library Portal. We plan to release even more in 2012 and look forward to continuing to be the leading provider of pre-built taxonomies to information professionals.